Pekanbaru (ANTARA) – Thousands of farmers in Kuantan Singingi District, Riau, have been planting Jernang (Dragon’s blood) which is one of high-value local plants to increase their income because the price is higher than oil palm. Furthermore, it’s also to protect the Bukit Batabuh Protected Forest. “We have proven that Jernang is increasing people’s income. 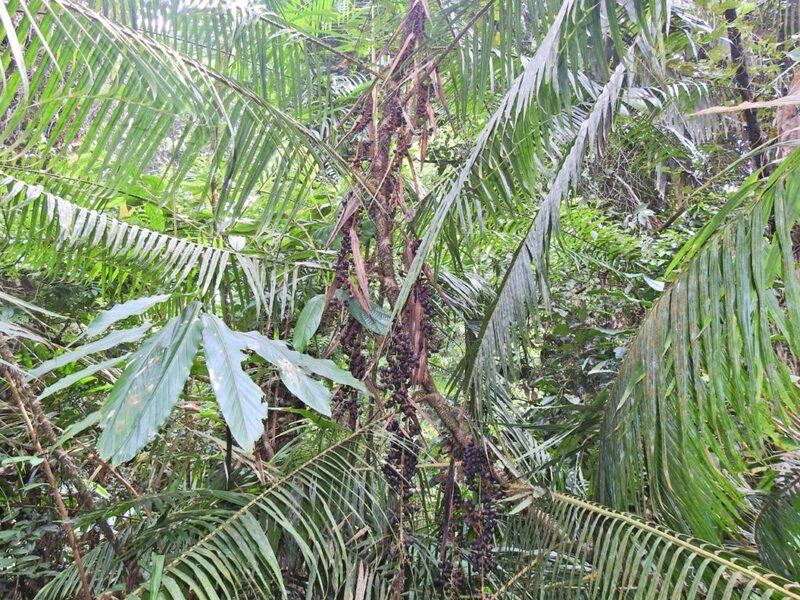 (Yield) one hectare of Jernang is equivalent to fifteen hectares of oil palm”, said the leader of the Bukik Ijau Community Forest Group, Hendri Yanto in a press statement to Antara in Pekanbaru on Tuesday. Hendri have experienced the benefit of Jernang since the 90s. Jernang is a deep red resin from several species of rattan from the Daemonorops clan. Jernang is more familiar with the name “dragon’s blood” or dragon blood. Like other rattan plants, Jernang requires trees to climb in obtaining light as a living energy source (assimilation). 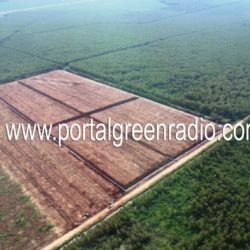 “This is why we believe that the Jernang commodity is the same as the symbol of preserving forests in Riau. 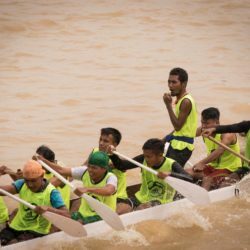 This also means his enthusiasm is the same as the spirit of Riau Hijau which is being prepared by the Governor of Riau”, said Hendri Yanto. Because Jernang needs tree to stands, when we plant Jernang, we also have to plant trees. In other words, planting Jernang and keeping it growing, it is the same as replanting forests. Because, Jernang needs forests to grow and then produce economic value for forest farmers. 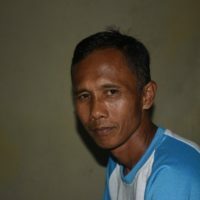 “Since 2016 we have started planting Jernang and other high-value local plants to improve people’s livelihoods while preserving forests,” said Duski Samad, from the Mandiri Community Forest Group, Lubuk Ramo Village, Kuantan Singingi District. Duski Samad explained that currently there are dozens of community forest group in the Bukit Batabuh Protection Forest. They are guided by the UPT KPH Singingi and empowered by Yayasan Hutanriau. He said that villagers along the Bukit Batabuh Protected Forest are willingly to support the concept of “Riau Hijau”, which is now being formulated by Riau Governor Syamsuar. As is known, in its 100-day work program, Syamsuar was formulating the Riau Hijau concept by involving public participation. Moreover, Widya Astuti, the Director of Hutanriau said that all stakeholders has to contribute in order to accelerate Riau Hijau. “The initiative has started from the bottom, it is only need the support of the stakeholders starting from the University, Medical, Local Government and even the Business Sector to jointly accelerate the realization of Riau Hijau,” said Widya. 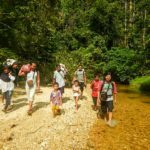 According to Widya, the Hutanriau has been assisting the community surrounding Bukit Batabuh in increasing livelihoods for the community without cutting down the natural forest. 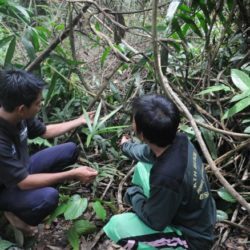 As a result, farmers who were once illegal loggers have now committed to guarding the Bukit Batabuh Protected Forest by replanting the forest. The commitment that has now been made by thousands of forest farmers from dozens of the Forest Community Group which is strengthened by support from UPT KPH Singingi. The support from KPH Singingi is clearly a program model that align with Governor Syamsuar’s vision and mission that wants to prosper the people without destroying the forest,” said Widya.